Out of all the principals in the Star Wars prequels, Ewan McGregor probably comes off the best. (He gets most of the funny lines, at least, and nobody makes him talk about sand.) 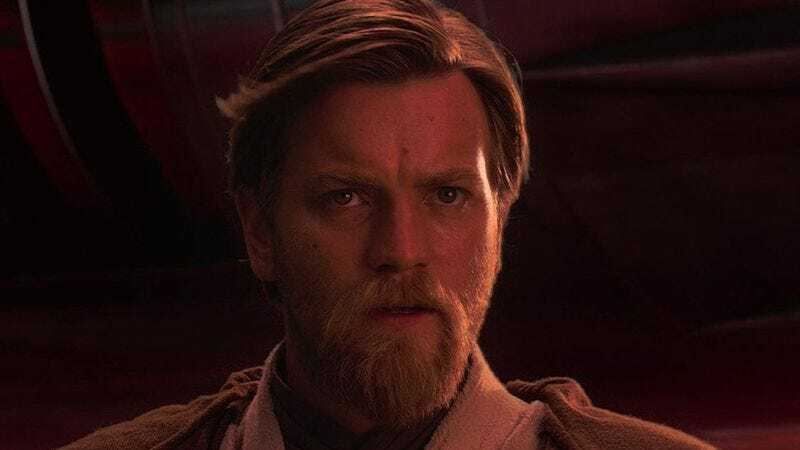 So it’s not entirely surprising that the prolific actor would express an interest in returning to play the part of Obi-Wan Kenobi, even if he’s just sort of expressing that interest in a general way, to nobody in particular. McGregor was promoting his directorial debut, American Pastoral, in France last week, when he told Premiere (as translated by Den Of Geek), “I’ve always thought there was a story to tell between my last one and Alec Guinness’ first one,” and that he’d love to take up the part of the Jedi hermit again. And while the original Star Wars suggested that Kenobi spent the years between Revenge Of The Sith and A New Hope just sort of hanging out in the desert near Luke Skywalker’s house, learning interesting facts about Sand People, McGregor seems game to flesh that period out. McGregor has already reprised the role of Obi-Wan Kenobi once since the prequel trilogy ended; he recorded a single line for Star Wars: The Force Awakens, whispering “Rey…these are your first steps” during Daisy Ridley’s Force-vision freakout in the storage room of Maz’s bar. Meanwhile, another member of the original Star Wars crew, Han Solo, is getting his own standalone film, with Alden Ehrenreich taking on the role.